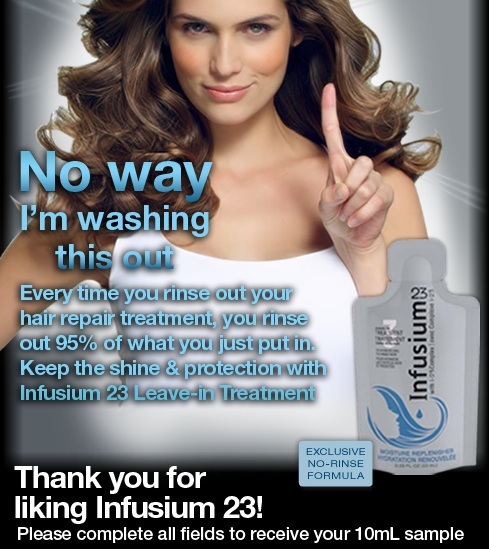 Get a free 10 ML sample of Infusium Leave-in treatment and a coupon too! Head over to the Infusium23 Facebook page and “like” them. Then click on the Free Sample tab to request your free sample and coupon.